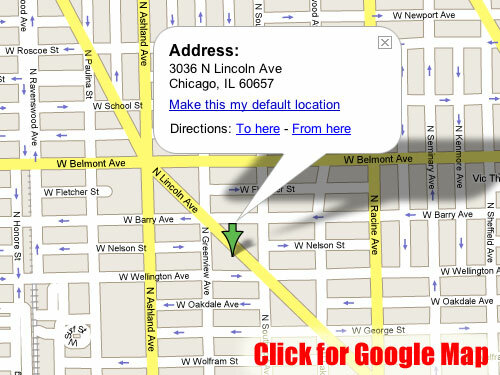 Here's a Google Map of the wedding location. And here's a visual aid when you're actually in the neighborhood. 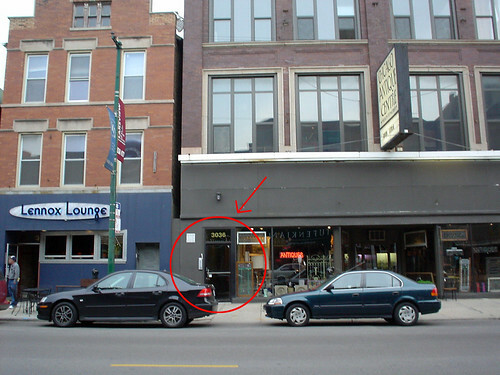 3036 is just the single doorway, sandwiched between the Lennox Lounge and the Chicago Antique Center. The loft is on the second floor.